Meanwhile tournament favourites New Zealand and the Solomon Island will go into their second group games knowing that a win could seal their spot in the semifinals. Vanuatu, who went down 1-0 to the Solomon Islands in their opening match, will face New Zealand to open Tuesday’s action at Port Moresby’s Sir John Guise Stadium. Vanutau coach Moise Poida couldn’t hide his disappointment following his side’s defeat to their Melanesian rivals. His players looked comfortable on the ball and created a number of promising opportunities but they lacked cutting edge in the final third. Poida knows that it will not get any easier against the All Whites, but he believes his side is more than capable of causing an upset. All Whites coach Anthony Hudson revealed his relief following his side’s comfortable but scrappy 3-1 win against Fiji. Admitting that the All Whites weren’t at their best he was still happy with his players’ determination to get a result. The All Whites coach handed debuts to four players – defenders Luke Adams and Kip Colvey, as well as midfielders Monty Patterson and Luka Prelevic against Fiji. Against Vanutau he will have the option to make some changes to the starting eleven by calling on some of the late arrivals, including Kosta Barbarouses, Marco Rojas, Jeremy Brockie and Michael Boxall. New Zealand will again go into the match against Vanuatu as clear favourites but Hudson insists his side won’t be taking anything for granted. In the day’s other match Fiji can’t afford to lose to the Solomon Islands if they want to keep their Nations Cup dream alive. They will be hoping for another strong performance from captain Roy Krishna who was a constant threat against New Zealand. The Wellington Phoenix striker has demonstrated his worth by scoring Fiji’s only goal of the game from the penalty spot. Fiji were at times their own worst enemy in their opening match as both first half goals scored by New Zealand came as a result of defensive mix-ups. Assistant coach Kamal Swamy is expecting another tough outing against the Solomons, but he insists the players are well aware what is at stake. 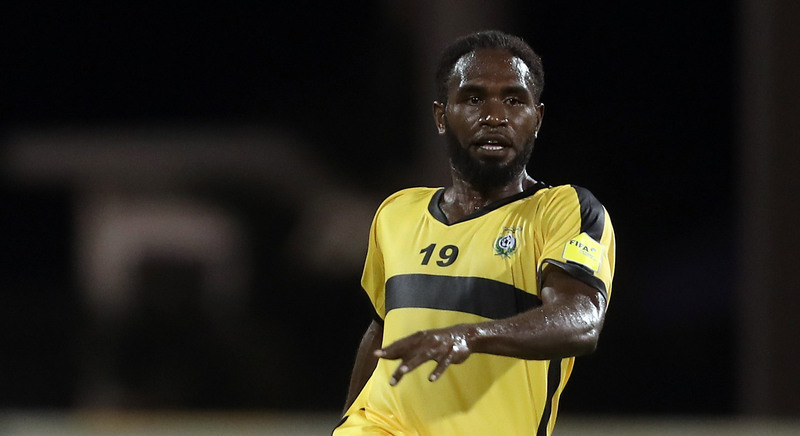 The Solomon Islands will be high on confidence, following their victory over Vanuatu in their campaign opener. Moses Toata’s men showed plenty of resilience to withstand some early pressure from Vanuatu, before edging past their Melanesian rivals 1-0. However they will need to improve if they want to be crowned OFC Nations Cup champions. Toata says his side will approach every game on its merit, and together with the team’s technical advisor Ramon Tribulietx, they will make the necessary adjustments. And he is confident they will come up with a winning formula against Fiji. The players: Striker Kensi Tangis looked the most likely to get on the scoresheet against the Solomons. Using his physical strength and mobility, Tangis was a constant threat up front. Captain Fenedy Masauvakalo and midfielder Bong Kalo have also offered attacking options, particularly from set pieces. The vital statistics: Despite having less possession than the Solomon Islands, Vanuatu had five more goal attempts than their Melanesian rivals. They also had two more shots on target and forced five more corners than the Solomons. Moise Poida will be hoping his players can be more clinical in the front of goal against the All Whites. The players: Two senior strikers, Rory Fallon and Chris Wood both found the back of the net in New Zealand’s win over Fiji. The two veterans have a proven record and they are effective players and leaders on the pitch. The All Whites could be strengthened by senior players Kosta Barbarouses and Marco Rojas, who weren’t selected for the match having arrived late into camp. The players: Experienced attacking pair Benjamin Totori and captain Henry Fa’arodo have both played a major role in their side’s opening win. When their team was under pressure, their leadership qualities and presence helped to calm the nerves of some of the younger players. The vital statistics: Despite shading the possession against Vanuatu, the Solomons have only produced two shots on target, one of which has found the back of the net. They will be hoping to create more opportunities in front of goal against Fiji. The players: Captain Roy Krishna will again hold the key to Fiji’s fortunes, but he will need more support from the likes of Setareki Hughes and Iosefo Verevou up front. The vital statistics: Despite an even share of possession against New Zealand, the Fijians rarely threatened in the final third and only managed four shots on target. The midfield and the forward line will need to establish a better link in order to increase their attacking potential.